1.12 If you choose to link to our website in breach of Paragraph 1.2 you shall fully indemnify us for any loss or damage suffered as a result of your actions. 1.15 Neither we nor any other party (whether or not involved in producing, maintaining or delivering this Website), shall be liable or responsible for any kind of loss or damage that may result to you or a third party as a result of your or their use of our website. This exclusion shall include servicing or repair costs and, without limitation, any other direct, indirect or consequential loss, and whether in tort or contract or otherwise in connection with this Website. 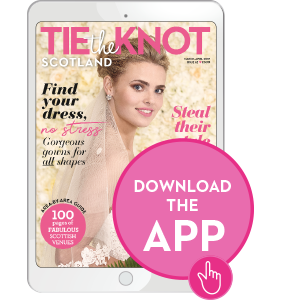 Tie the Knot Scotland is owned and published by Peebles Media Group Ltd. Our business address is The Albus, 110 Brook Street, Glasgow, G40 3AP, U.K. +44(141) 567 6000.